Make your own curtains or clothing! VGCC’s partner organisation LMHS runs the successful sewing training project All Sewn Up over in Oval, off Brixton Road. 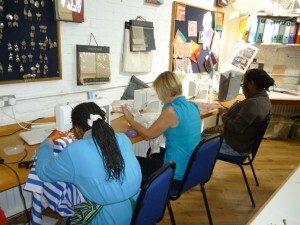 They are currently taking bookings for summer term classes in clothes-making or soft furnishing. Go to www.lmhs.org.uk to find out more or call 020 7793 1110 to book your place. There are some subsidised places available for Lambeth residents on low income.